A Barceloneta seafood institution that remains unspoiled by the tourism boom. La Barceloneta isn’t what it once was. Like the rest of Barcelona’s ciutat vella (old town), it has seen its character diluted and damaged by the tidal wave of tourism that has swept up from the airport and cruise ship terminals in recent years. What was until recently a residential, working class neighbourhood for locals – and, even longer ago, for local fishermen – has been transformed into a beach- and port-side playground for visitors. This isn’t all bad; the new money has allowed many new businesses to flourish. But it has had an undeniable effect on many of the district’s traditional restaurants, some of which had already survived relocation from the beach in the wake of the city’s pre-1992 Olympics transformation. Before, stiff competition for the repeat business of demanding local customers kept standards extremely high; but now the endless stream of first-time visitors, who are less fastidious when it comes to the finer points of local fish dishes, has resulted in a discernible dip in quality. Expensive fish stocks are topped up instead of made from fresh, and frozen and imported shellfish find their way into those recipes where they can be disguised. Everyone can see if a seafood paella has no prawns, but it takes some experience to know why a restaurant’s rice is suddenly so soso (insipid). Fortunately, not all restaurants have succumbed. You can still find excellent places to eat in La Barceloneta and Can Solé is one of them. Tucked away on a narrow side street off Passeig de Joan de Borbó (the boulevard of bad rice), it doesn’t have a sea view, a terrace or a tout outside. Instead, you’ll find it largely as it was when it opened in 1903: an old-fashioned fisherman’s tavern. Inside, you’ll find a gleaming open kitchen and a dining room lined with photos of the celebrities who’ve visited over the years. The restaurant welcomes tourists, of course: the waiting staff are impressively multi-lingual. But the core clientele remains Catalan: food-lovers who still demand traditional dishes made with uncompromisingly good ingredients. Owner José María García was a customer himself for many years before taking it over in 1975. Now he presides over the front of house, a passionate presence who enthusiastically collects deliveries of fish landed at Barcelona that morning and places orders for the latest seasonal mushrooms, showing regular customers photos on his phone of what they can expect in the coming days. Among the regulars who visited while I was there were the family of the late, great Barcelona writer and gastronome Manuel Vázquez Montalbán, who presumably also know a good thing when they eat one. Following José María’s advice, I started with sípies trossejades estil “Can Solé”, amb tomaquet, al forn (€23)– a classic Barceloneta dish of slowly baked squid in a tomato sauce that had a sweetness and depth that were a testament to time and patience. I mopped them up with a thick slice of excellent pa de pagès (country bread) until the plate was gleaming. “Look around,” said a smiling José María as he passed my table, “everyone’s plate in here is the same.” And he was right. Next was arròs caldòs, a rice broth that’s more traditional in Barcelona than the drier, Valencian-style paella, with squid and a huge langoustine (€20). The photo here shows what was left in the tablesidepan after I’d already demolished a plateful of rice. These are generous portions. The taste? Just like I remembered it, from when I first fell in love with this kind of dish almost 20 years ago. Fresh, rich and layered. And filling, but I took a deep breath and chose an (excellent) apple tarte tatin from the list of home-made desserts. Can Solé is an anachronism, a culinary time capsule, and I hope it never changes. With the possible exception of the desserts, it doesn’t make food for the Instagram generation. Instead, it serves, big, hearty, lovingly made dishes that haven’t changed in decades. There are no twists on classic themes, or modern takes with reinterpreted presentations. There are only bowlfuls and platefuls of deeply flavoursome food made with fine ingredients. Tourism has had an effect on the prices: expect a bill of around €50-€80 per person and upwards, depending on what you choose. You mainly get what you pay for, but be careful of pricey drinks and coffees. A block from here, you can sit in the sun and “enjoy” a microwaved paella, and look at the Mediterranean Sea while eating defrosted fish that comes from farms on the other side of the planet. It will be cheaper. Or you can come to Can Solé and taste seafood that comes from the few remaining fishing boats you saw bobbing in the harbour. Is it worth the extra? What I had certainly was. This is a welcome taste of the past, and a reminder of what has been lost elsewhere. Can Solé: Carrer de San Carles 4, 08003, Barcelona; Tel. (+34) 93 221 50 12; Metro Barceloneta (L4); Closed Mondays. 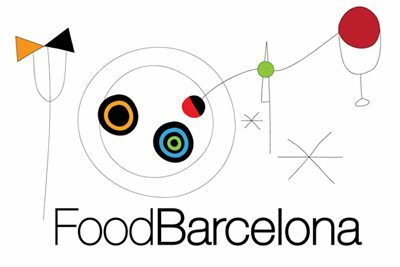 Find Can Solé on the FoodBarcelona restaurant map.